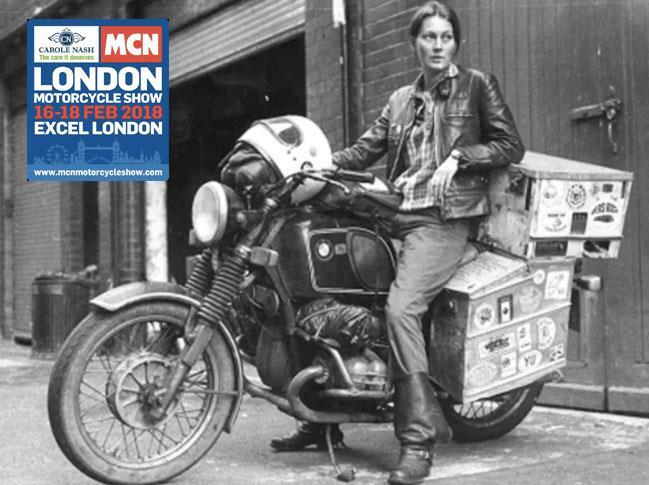 On this year's Adventure Stage at the Carole Nash MCN London Motorcycle Show there are a fantastic selection of globetrotters brimming with fascinating tale and invaluable touring tips. From packing your bike properly to riding the Pan Americaln trail, there's something for riders of every experience level. One adventurer, Elspeth Beard, will be at the show all weekend, and after her interview will be on hand to answer any questions you may have. In 1982 Elspeth decided to take herself – and her 1974 BMW R60/6 – on a 35,000-mile journey that would change her life forever. Sitting in Heathrow Airport about to board a flight to JFK, 23-year-old Elspeth Beard, emotions flying high and tears streaming down her face, was wondering if leaving her family and friends behind in London was such a good idea afterall. But the plan was simple: spend two years travelling the world on her Beemer. Unbeknown to her, she was about to make history as the first British woman to travel the world by motorcycle. Falling in love with motorbikes when she was just 16 and growing-up in a world where a woman riding a big bike was laughed at, Elspeth followed her heart and bought her first set of two-wheels. Going on to study at Chelsea College of Arts, she then met Alex — a fellow biker. After two years together, Alex ended the relationship with just a letter on the kitchen table. Heartbroken, and not achieving the desired grades on her architecture course, she decided she needed a break. After working seven days a week she'd saved £2500 in one summer, and in the October of 1982 she shipped her beloved R60/6 to New York. She followed it across the pond, and immediately pointed north for Canada, before looping back south to Mexico and back north into Los Angeles. Without the internet or mobile phones, she was living her world day-by-day – not always sure of where she would sleep or eat next. This was a proper adventure. Her journey then took her from LA to Sydney, Australia. She met lots of people along the way, but on one occasion she was travelling with two others riding in the Outback, when her front wheel disappeared into a pothole, cartwheeling her and bike through the air. “All I remember is waking up in hospital feeling confused and frightened,” she says. It would take more than that to deter her though, and she carried on to Perth, before shipping her bike to Singapore, clocking miles through Bali, Java, Sumatra, Malaysia and Thailand. Riding for her passion, for survival, for self-discovery, for the love of an adventure – she battled through India to Pakistan and on to Iran, then Turkey, and back into mainland Europe. She finally arrived home in November 1984. With a new-found confidence and inner strength, she went on to finish her architecture degree. Now, 35 years later at the age of 58, Elspeth is an award-winning architect, lives in a converted water tower and spends a lot of her time riding around on her collection of bikes, including the R60/6 that changed her life. And we're so glad she did. 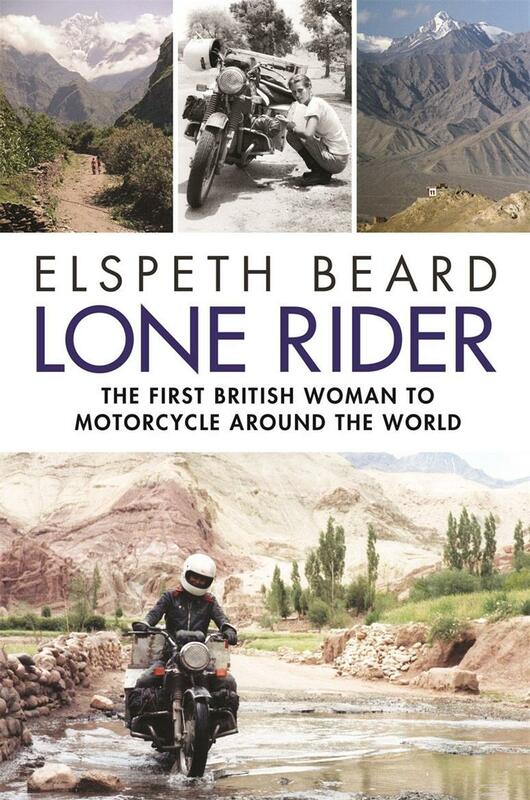 Lone Rider: The First British Woman to Motorcycle Around the World is out now, and available in all good bookshops – or you can order it now on Amazon.